This is one of my favorite Christmas coloring pages. It has a very sweet stained glass picture of Mary holding the Child Jesus. 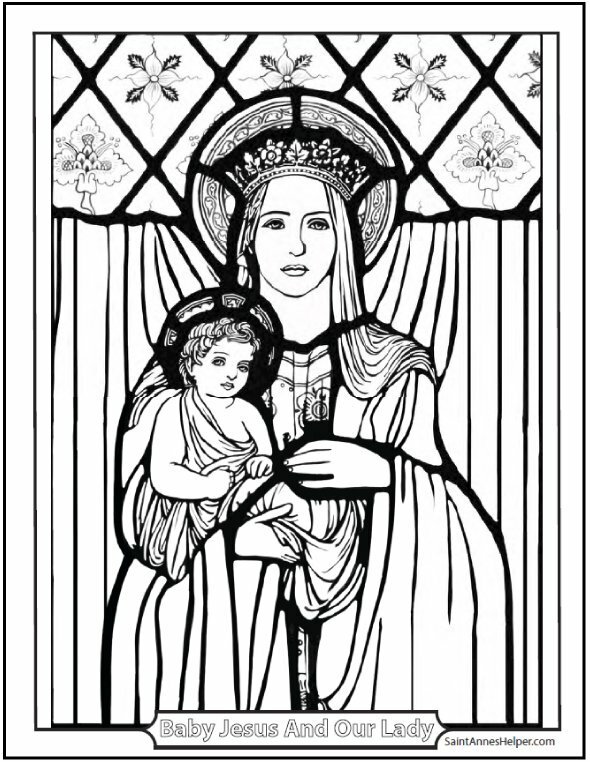 One of the most beautiful Christmas coloring pages: Mother Mary and Infant Jesus. Merry Christmas! 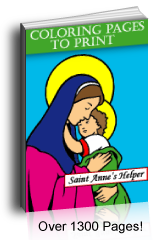 If you use the Baltimore Catechism, you'll love our audio downloads, worksheets, and coloring pages.